Nursing is a rewarding career that promises job security, excellent compensation, and opportunities for professional growth. Entry into the field is simple with approximately 12 months of training and passage of the NCLEX-PN to become Licensed Practical Nurses. Many LPNs pursue further education to branch out into other specialties, such as emergency and trauma care, pediatrics, geriatrics, mental health, hospice, surgery, and neonatal care. As the industry reorganizes, many LPNs take their practice to long-term care facilities, home health, and rural hospice centers where they care for elderly patients and continuous support to persons suffering from chronic illnesses. With the demands for nurses projected to grow by 25 percent over the next decade, the industry promises numerous opportunities for new graduates. The Florida Board of Nursing regulates the profession and ensures all LPNs operate within the defined scope of practice. The Practical nursing Program equips individuals with no previous experience with the skills and knowledge to become Licensed Practical Nurses. Students must attend Florida Board approved programs to be eligible to take the licensure exam to practice in Florida. In accordance with state requirements, students learn through a blend of classroom lessons, laboratory procedures, and clinical experience. Classroom content includes, but is not limited to, growth and development over lifespan, medical-surgical nursing, anatomy and physiology, nutrition, fundamentals of Nursing and Health, nursing skills, pharmacology, maternal child nursing, pediatric and geriatric nursing, vocational nursing, anatomy and physiology. Other topics include mental health concepts, interpersonal relationship skills, Basic Life Support, administration of medication, family and community health, and the legal aspects of practice. Students must participate in the clinical experience which reinforces the theory. Applicants seeking admission to the program must be at least 18 years, possess a high school diploma, provide letters of recommendation, attend a general information session, provide proof of current immunization (Hepatitis B series, Varicella, Tetanus), and pass a TABE test. A tuberculin skin test, level 2 criminal background screen, random drug screen, and CPR for Healthcare Providers (BLS) are some other requirements that students may have to complete before beginning the clinical experience. Some schools may have prerequisite course requirements that students must complete before enrolling in the practical nursing program. Admission is a competitive process, and many schools turn away qualified applicants each year. It is important to submit your application and required documents early to increase your chances of selection. There are currently 84 Board approved programs in Florida. Check the program’s NCLEX-PN pass rate as it is an indicator of the school’s rate of success. Graduates are eligible to take the NCLEX-PN to become a Licensed Practical Nurse. LPNs may continue their education by pursuing an Associate of Science degree or Bachelor of Science in Nursing. Duration and Cost of Training: Most practical nursing programs are based on a full-time schedule. Day classes run for 12 months and evening classes are 18 to 24 months. Programs leading to a diploma cost approximately $5,650 for resident students. Students are responsible for other expenses, such as textbooks, lab supplies, administrative fees, clinical supplies, criminal background check, liability insurance, and miscellaneous expenses. Prerequisite courses will increase the final cost of training. Financial aid in the form of grants, private loans, federal loans, and scholarships may be available to qualifying students. Practical nursing programs prepare students for the National Council Licensure Examination (NCLEX). The computer adaptive test evaluates graduates’ knowledge, skills, and competency to provide safe and competent care for as LPNs. Success on the national exam is essential for practicing in the Florida. Any candidate who fails the exam three consecutive times (regardless of jurisdiction) must complete a remedial program approved by the Board of Nursing. After completing the program, the candidate is free to attempt the exam three additional times and retake remediation to once again attempt the exam. To apply for the exam, candidates must submit an application online or over the phone and pay the $200 registration fee using a credit or debit card. An application for the licensure exam must go to the Board at the same time the candidate submits an application to Pearson Vue. The Board will authorize the candidate’s request after reviewing the application, verifying receipt of the applicable fee, and reviewing transcripts from the nursing education program. Pearson Vue will issue an Authorization to Test (ATT) with the Board’s approval. The ATT contains vital information; starting with your name, address, email, and other contact information – verify that it contains the correct spelling of your name. Pay attention to the guidelines for scheduling your exam date and make sure to take the exam before the ATT expires. The ATT cannot be extended under any circumstances. The Board recommends all candidates download and read the Candidate Bulletin, which contains vital information on preparing for the exam and what to expect on exam day. The exam results will be available within 48 hours to 10 business days. If you pass the exam and meet all other requirements for licensure, the Board will mail your license to the address you provided on the application. The Board will mail a diagnostic profile outlining your performance on the exam if you fail. Review the candidate performance report in preparation for retaking the exam. You must wait a period of 45 days before submitting another application to Pearson Vue and the Board to take the exam. Any person desiring to practice as a practical nurse must first obtain licensure from the Florida Board of Nursing; licensure is available through examination or endorsement. The Board will issue a license to an individual who completes an application form and remit the application fee. All applicants must graduate from an approved nursing education program, demonstrate the ability to communicate in English, demonstrate good mental and physical health, possess a high school diploma, and possess a good moral character. A criminal background search of Florida and national criminal history records is a necessary part of the application process. The Board accepts fingerprints must be submitted electronically by a Livescan service provider – the Board no longer accepts hard fingerprint cards. Out-of-state applicants must request hard cards from the Board, complete the fingerprints, and have it converted by a Livescan, service provider. Fingerprints are processed by the Florida Department of Law Enforcement (FDLE) after electronic submission by the Livescan service provider. The Care Provider Background Screening Clearinghouse receives the results and makes them available to the Board. Final dispositions/ arrest records for each offense – available at the clerk of the court. Explanatory letter describing the circumstances of each offense. Letters of professional recommendation from 3 to 5 people you have worked for or with. Submit your application for licensure to the Board and register to take the NCLEX-PN within 6 months of graduating from an approved program. You must successfully complete a board-approved licensure exam preparatory course if you fail to take the licensure exam within 6 months of graduation. Follow the guidelines below to take the licensure exam. Submit your application for licensure online. The name listed on the application must match the name used on your NCLEX application. There will be delays in processing your authorization to test if the name does not match. Submit the $110 application and licensing fee to the Board of Nursing. Schedule an electronic fingerprint appointment with a Livescan service provider. All fees for fingerprint processing and the criminal history check are the candidate’s responsibility. Submit court records, explanatory letter, letters of recommendation, and completion of probation/ parole, sanctions if you have a criminal history. Provide evidence of completing a board-approved or military nursing education program. Attest to completing the Prevention of Medical Errors course. All applicants must complete this requirement before receiving approval to take the NCLEX. Request Special Accommodations (for persons with disabilities) early as the process is lengthy and could take a minimum of 60 days to process. The Board processes applications in date order, and it could take up to 10 days to process a completed application. If your address changes, you must inform the Board of the change in order to receive updates from the office. An LPN with a license to practice in another state or territory is eligible for licensure by endorsement. Those who completed the State Board Test Pool Examination (SBTPE) or the NCLEX and those who actively practiced for 2 out of the preceding 3 years without revocation of a license are also deemed eligible. Submit the application for endorsement online. The application fee is $110 – instructions for payment will be available during the online process. Contact the licensing agency where you hold initial and current active licenses to request verification of your license. The agency should send verification directly to the Florida Board of Nursing. Contact your previous or current employers to send verification of your employment to the Florida Board of Nursing – not a requirement for all applicants. Attest to completing the Prevention of Medical Errors course. Endorsement applications take a minimum of 14 days to process. You can check the status of your application using the online status check. LPNs must submit a completed renewal application and required fees before their licenses expire on July 31 biennially. Members of the Armed Forces of the United State may be exempt from the renewal requirements while engaged in active duty and up to 6 months after discharge – the licensee cannot practice in the private sector for profit during this time. A military spouse may also be exempt from renewal requirements only in cases of absence from the state due to a spouse’s duties with the Armed Forces. If your license is in ‘Military, Active’ status you should use the paper renewal application. Paper submissions are also available for those who need to change the status of their license or pay using a money order or cashier’s check. LPNs, who receive initial licensure in the current biennium, are exempt from the general 20-hour CEU requirements for the first renewal. However, they must complete 2 hours of medical error, 2 hours of Florida laws and rules, and 1 hour of HIV/AIDS. The same requirements apply to endorsement licensees who receive licensure during the current biennium. Others must complete 1 hour of CEU per month or partial month remaining in the biennium from the date of licensure. The CEU must include 2 hours of medical error, 2 hours in Florida laws and rules and 1 hour of HIV/AIDS. The Board does not require licensees to submit certificates of completing the CEU requirements, but they must maintain the records for a period of four years for auditing purposes. The license renewal process may take as much as two to three weeks, so submit your renewal requests early. The fee for general Active to Active renewal is $80 or $135 if renewing an expired license. There are numerous vacancies for LPNs in home health according to the Florida Center for Nursing. 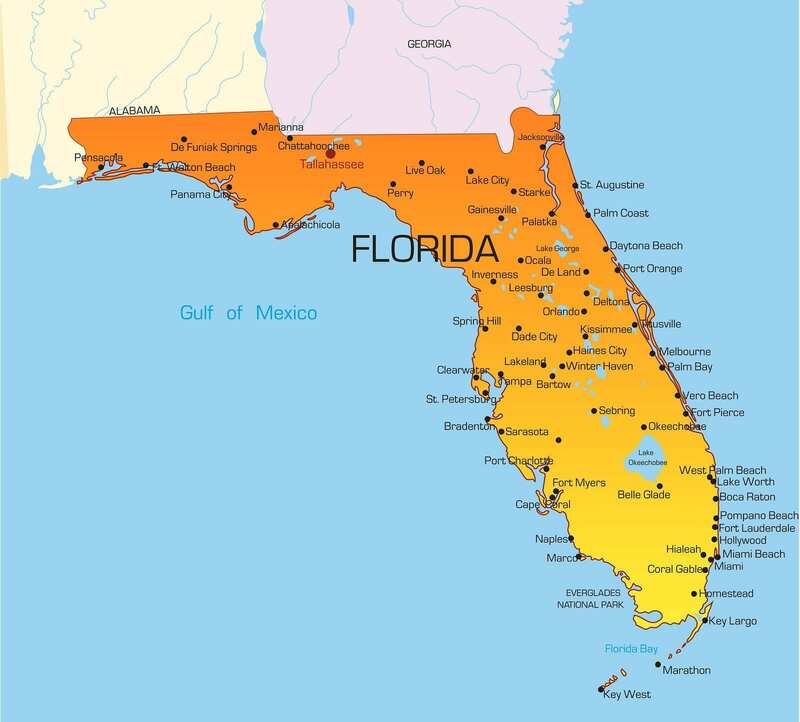 The demand is expected to stay strong as thousands of seniors move to Florida for retirement. Department of Health records indicate that there are 72,632 licensed practical nurses statewide, but only 60% are practicing. There are several factors that shift supply and demand in Florida one of them being retiring nurses. As nurses retire, employers advertise vacancies to replace them. Depending on the number of new graduates, there may or may not be sufficient qualified nurses to replace outgoing nurses. Approximately one out of every five nurse graduates apply for state licenses, so the enrollment/graduation rate is no indicator that there will be sufficient LPNs to replace the outgoing ones. Another factor that affects the workforce is the advancement of existing LPNs to other positions. The field facilitates easy growth opportunities with continuing education, so many LPNs bridge to registered nurses and advanced registered nurse practitioner. A misconception that employers are phasing out LPNs has caused some hesitancy among persons who are desirous of entering healthcare as licensed practical nurses. While many hospitals shift LPNs out of inpatient care, there are numerous employment opportunities in outpatient and community nursing. LPNs are also dominant in long-term care facilities and home health care. They’re also visible in dialysis centers, schools, and correctional facilities. In Florida, nursing homes and assisted living facilities employ 5 out of 10 LPNs in Florida. The home health accounts for another 19 percent of working LPNs, and hospitals employ 12 percent. Others work in physicians’ offices where they update records, administer shots, educate patients and assess the urgency of patients’ symptoms. LPNs in Florida earned a median annual salary of $41,540 in May 2014. I’m looking for a PN NCLEX Review course to prepare for the state test..
Brunilda Pabon…where in Orlando do you work….looking to relocate, and would appreciate any leads! Thanks! Where can I take a licensure approved examination preparatory course in jacksonville florida?